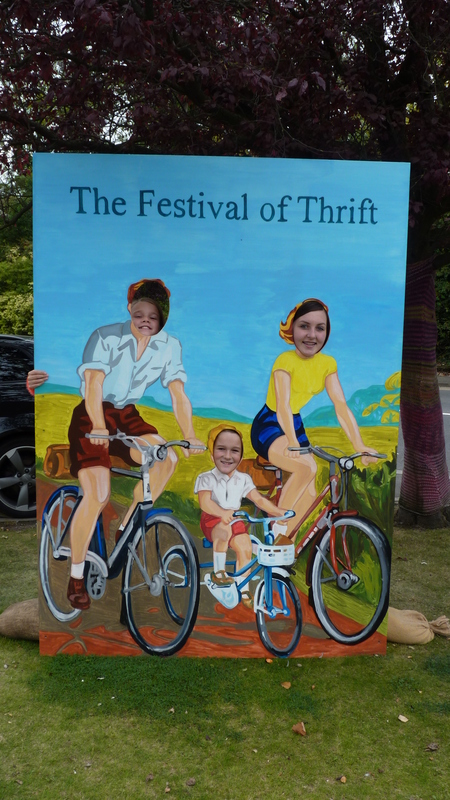 The Festival of Thrift is an annual event held at Lingfield Point Darlington, always a Fantastic weekend. 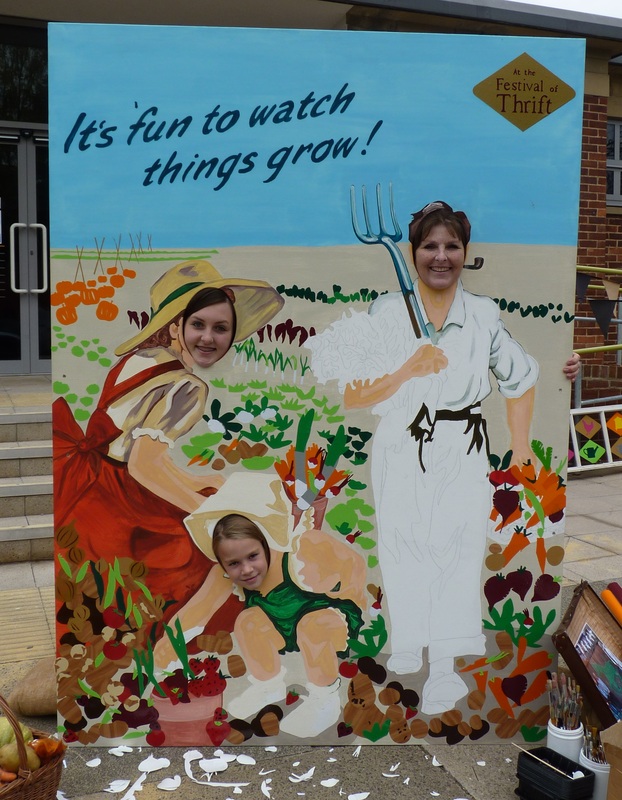 I have been commissioned each year to create these fun Peep Boards and items of site decoration, The boards are 5x7foot and are a great photo opportunity and keep sake for the festival visitors. 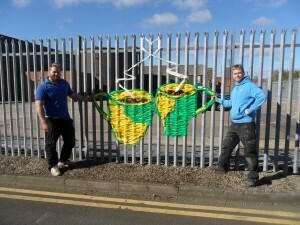 My ‘ECO COFFEE CUPS”, created on the fencing opposite the studio, for our MacMillan Coffee Morning 28th Sept 2012. 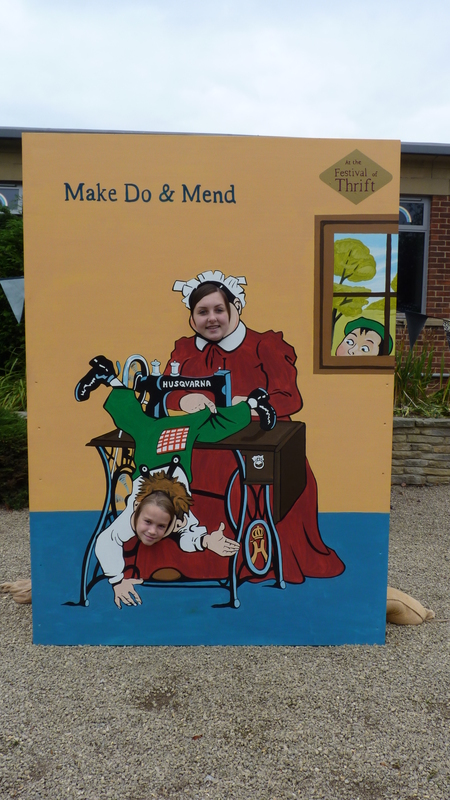 Lots of peple came to view the new venue and we riased £107 for the charity!! ‘ONE BIG EVENT’. One month to go to the Olympics. 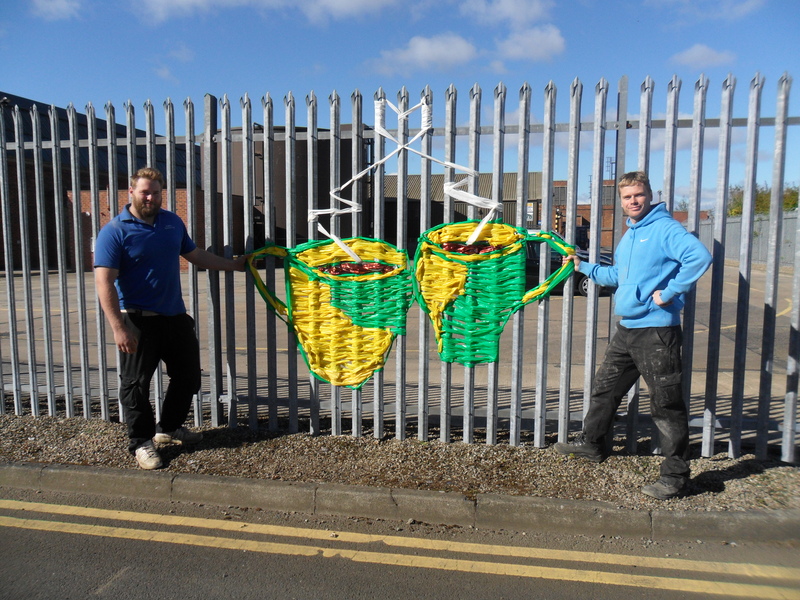 I worked with children from five Darlington Primary Schools, in the sports hall, Darlington Dolphin Centre, to produce a giant image of Usain Bolt, a 2D assemblage of sports equipment.